With both a state (NSW) and a federal election looming, two upcoming communal forums will give members of the community a chance to hear from candidates in two key seats. 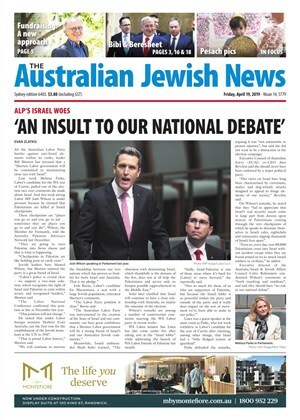 NEWLY elected Australasian Union of Jewish Students (AUJS) 2019 chairperson Josef Wilkinson says he is "looking forward to a really great year with an amazing executive". Student politics has undeniably taken a foul turn. University campuses are meant to encourage robust debate and academic discourse. 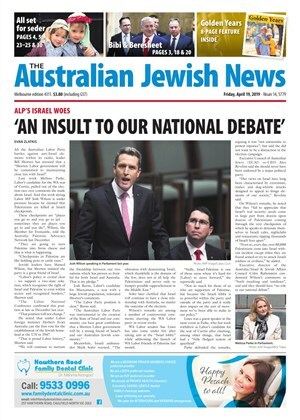 Yet, elected representatives at the University of Sydney are utilising bullying, intimidation and scare tactics to silence opposition and disseminate a distorted view of the Israel–Palestine conflict. The editors responsible for a University of Sydney student magazine cover depicting a suicide bomber who killed more than 50 people – including several Israeli and Lebanese soldiers – have defied calls for an apology.